Wineries from British Columbia upped their presence at the Wines of Canada tasting in central London this year with 13 producers attending. This represented a substantial increase on the 2013 tasting when only two producers, Jak Meyer and Burrowing Owl, were present with the only winemaker from BC present being Meyer himself. This year Meyer’s wines were present, shown by importer Ellis of Richmond, but the man himself was absent. Instead, there were new appearances from Painted Rock’s founder John Skinner and Ezra Cipes of Summerhill Pyramid Winery among others. 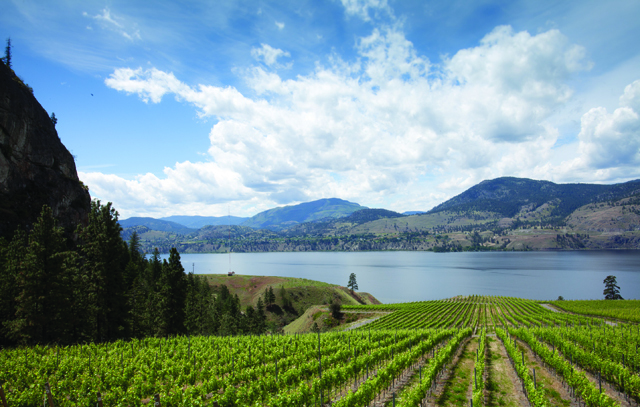 The small size and high production cost of most Canadian wine does put it a disadvantage in export markets however, a situation previously explored by the drinks business and one the industry is well aware of. Further admitting, “we have a lot of work to do,” Anderson still concluded that the best of BC could compete with Australia and France and that continued attendance at events such as the Wines of Canada tasting and putting the wine in front of the trade was essential. He also described his excitement at being able to present his wines to the likes of Hugh Johnson, Jancis Robinson MW and Oz Clarke who, like many others in the UK trade, had attended the 2013 event and emerged singing the praises of many of the wines. Alongside the increased BC presence, this year’s event also saw wineries from Nova Scotia, New Brunswick and Quebec for the first time as well as some of the (increasingly) famous names from Ontario such as Norman Hardie. In total 34 producers from the five regions were present and a masterclass on key red varieties from Ontario and BC was held in the morning.